29 year old Andy was fed up of other people looking at his neck tattoo and judging him whilst dropping off his child at school. He came to us for the removal of his tattoo using the PicoSure laser. Andy had 5 treatments in total and his results can be seen in the video below. What was the reason for getting your tattoo in the first place? What was the reason for wanting your tattoo removed? And when did you first start to think about getting it removed? What attracted you to the PicoSure laser over other available removal treatments? What worries (if any) did you have prior to the treatment? And how was your first treatment? How comfortable did you find the laser treatment (the actual sensation from the laser) and what did it compare to? Were you satisfied with the results and would you recommend the PicoSure laser treatment to your friends? 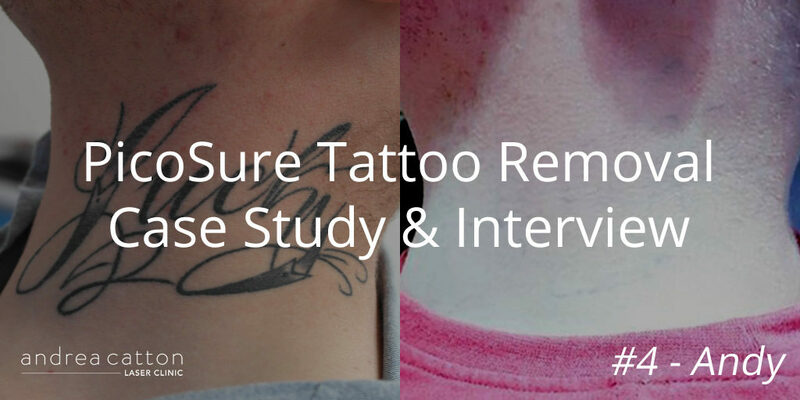 Get in touch if you’re considering tattoo removal, we’re always here to answer any of your concerns and questions.